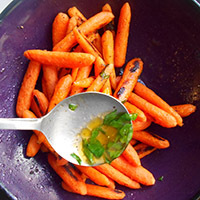 When it comes to a Thanksgiving sides, nothing compares to the glazed baby carrots. Sure, people either roast them, stir fry carrots, steam them or even eat them raw. However, nothing brings out their juiciness quite like glazing them using vegan butter. 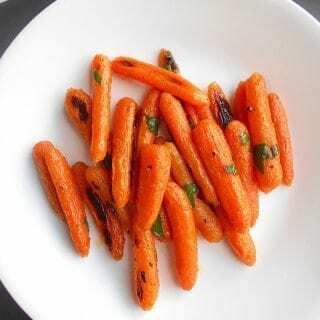 Glazed baby carrots, when flavored perfectly, will to go with any meal. 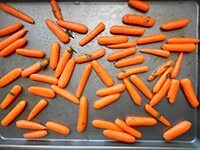 The traditional recipe for glazed carrots always calls for brown sugar. I decided to deviate a little from that tradition. Instead of brown sugar, I went with maple syrup and it turned out even better than I imagined. 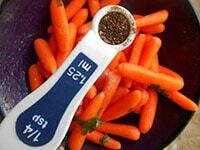 It gave the roasted carrots a slight sweetness without overpowering the carrots. 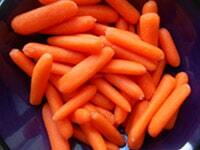 Also, the carrots were a little soft and a little crunchy which is exactly the way I like it. 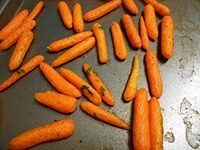 This is a hard combination to achieve when cooking carrots because they get too soft or they turn out to be raw. Going with vegan butter instead of oil is a huge reason why these glazed baby carrots are perfect. 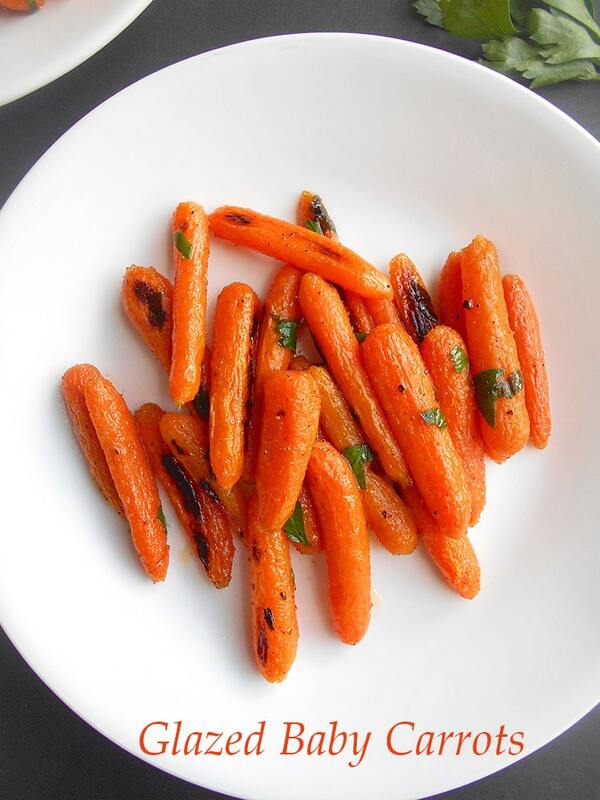 These glazed baby carrots is in my hall of fame for tasty recipes. 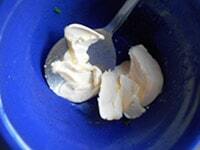 Next, I want to try it in a carrot salad with spinach or other greens. Did you know that there is a virtual carrot museum? You learn something new everyday. Rel: Check out my Vegan Navy Beans Salad with Cranberries. 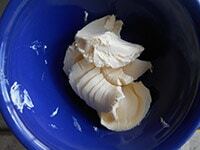 2) In a bowl, melt 2 Tbsp of earth balance butter or your favorite vegan butter. 10) Mix well. 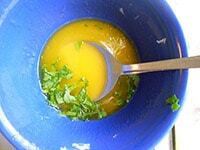 Move the carrots to bowl and drizzle with this maple syrup mixture. A wonderful recipe. I actually just made something quite similar. I had multi colored carrots and they were delicious. Carrots are a favorite! I love this idea. 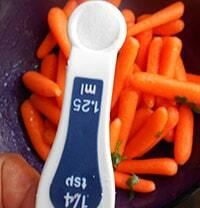 I’ve always been trying to figure out ways to cook carrots because it really is good. I’ll go ahead and try this. I love the idea of roasting them – I usually just cook them in butter and maple syrup and that’s it – what a nice flavor! Thank you, Mardene. Carrots can be difficult to accept. I know that I only started liking them after seeing Bugs Bunny eat them. Also, I started eating spinach only after seeing Popeye. Haha. I guess my food habits have been influenced by cartoon characters. Wow this sounds so yummy and easy to make! Our kids love carrots too. Love that recipe! I can’t wait to try that.